EDUCATE A GIRL, EDUCATE A GENERATION! MAME JAARA FOUNDATION supports 450 school girls in Porokhane, Senegal. 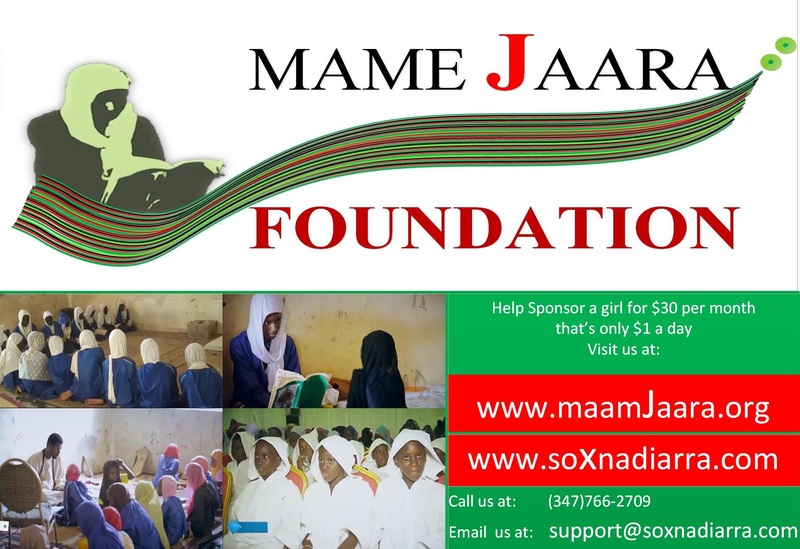 MAME JAARA FOUNDATION, a 501c3 nonprofit IRS-approved tax-exempt organization(EIN# 81-4851682),is dedicated to promoting young girls' education in Porokhane and in other places in sub saharan Africa where most of them are growing up in poverty. By empowering girls through education, they can become more autonomous and be productive members of the society in which they live. To that end, MAME JAARA FOUNDATION will support their education at an early age and assist in the attainment of their lifelong learning objectives in a safe and healthy environment.